As the planet Wormwood/Destroyer gets closer, trailing asteroids, Leon, the General, and Marks struggle to escape from the inner Earth and the Annunaki, who have been awakened by the Lizard People and the tall Greys. On the surface, Mary and Jennie are thrown into the fight of their lives. The ancient “gods” plan to take over Earth in the wake of the chaos and destruction they are bringing. 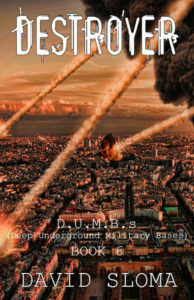 Destroyer: D.U.M.B.s. 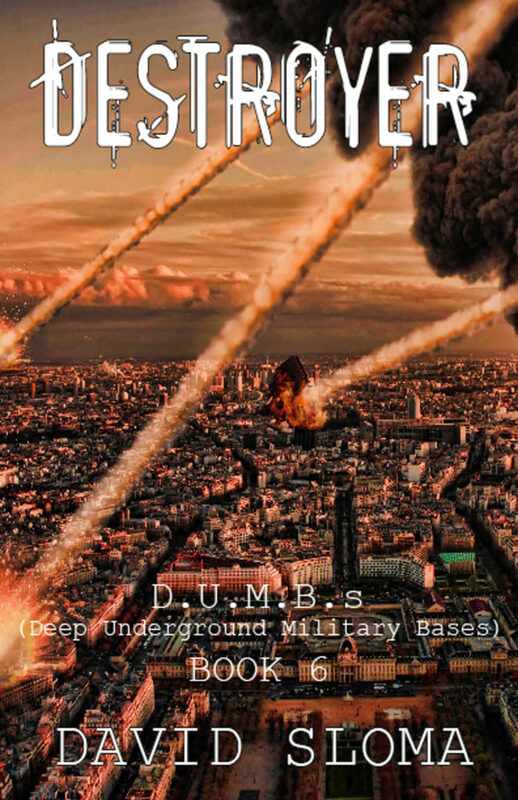 (Deep Underground Military Bases) – Book 6 was released Dec., 21, 2017. Also on Tolino (no link available), and other smaller sites.